I love Salsa. The beat and Latin rhythm of the music is addictive. If only I could dance to it myself! Alas, even with the numerous lessons I’ve never been able to achieve much more than a comedic parody of Salsa. And even if I’m not as bad as all that, I am very envious of the natural fluid movements of the Salsa dancers you’ll see competing at the Oxnard Salsa Festival on a huge dance floor with an impressive sound stage and musicians right behind them. They make it look so easy. With the Jumbotron screens you’re guaranteed to see those hot dance moves up close no matter where you’re seated. 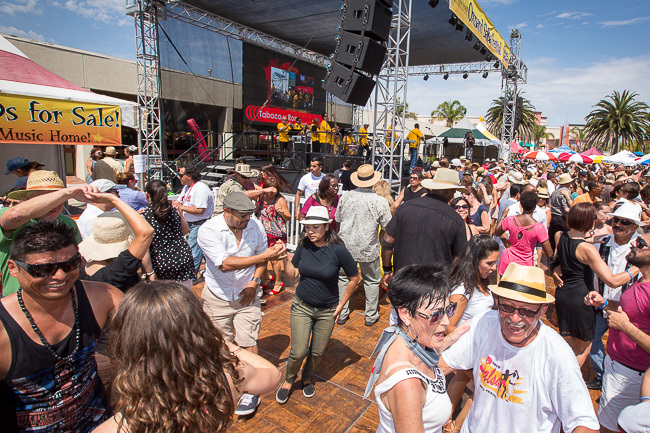 The Oxnard Salsa Festival is a celebration of all things Salsa. Not just hot sizzling moves on the dance floor but spicy salsa that will make your tongue dance. 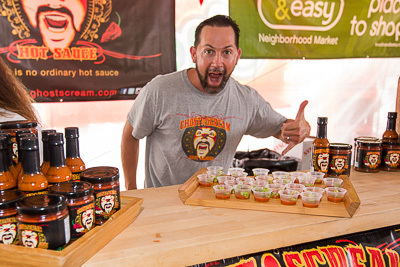 You can sample some of the tastiest and most unique salsas in the Salsa Tasting tent where $5 will get you chips and 10 salsa tastings. 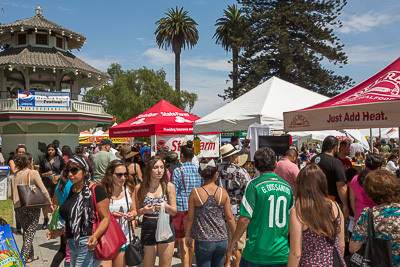 Numerous vendors offer unique shopping opportunities; hand-made jewelry, fashion accessories, crafts, art, food items, pottery and much more. There is a Kid’s Zone to keep the young ones entertained. Come spend a day enjoying great music, dance, food, and people watching. You’ll have a toe tapping, lip smacking good time! No coolers, pets or outside alcohol. For all the details visit www.OxnardSalsaFestival.com.